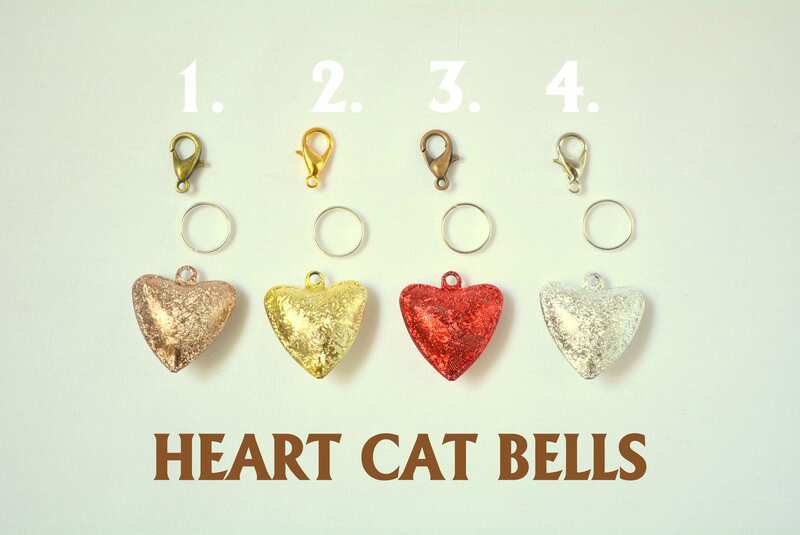 Pretty heart bells for cat collars. 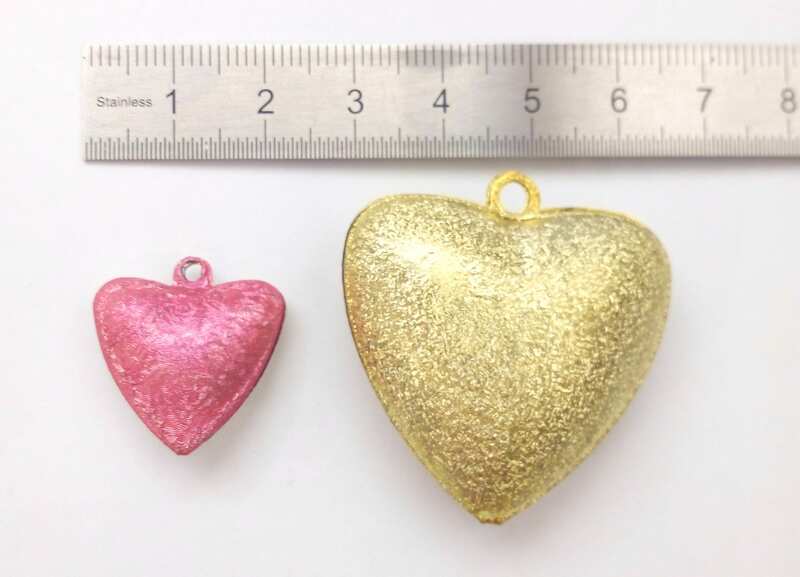 Although these are offered as add on accessory for Crafts4cats collars, I can offer them separately. 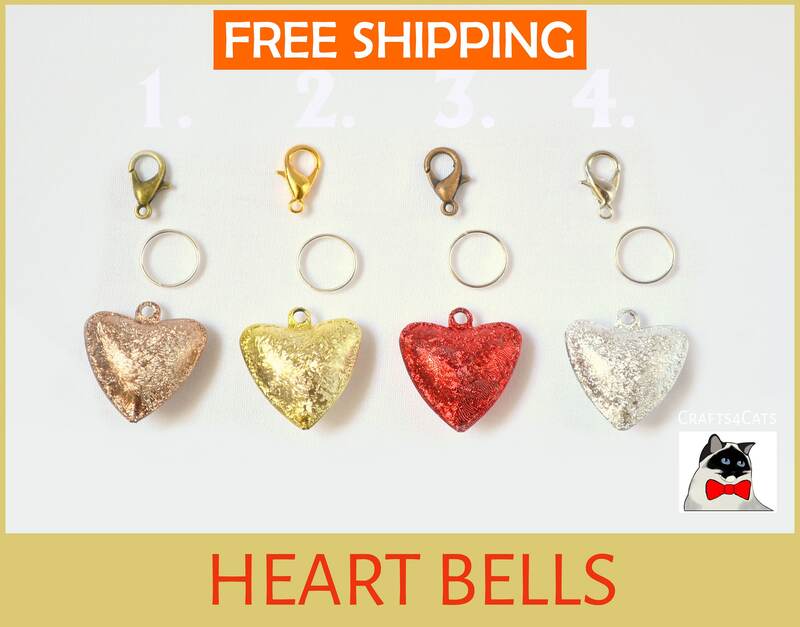 A bell height 2.5cm, size is approximate.